We’ve got our heads stuck in the clouds! 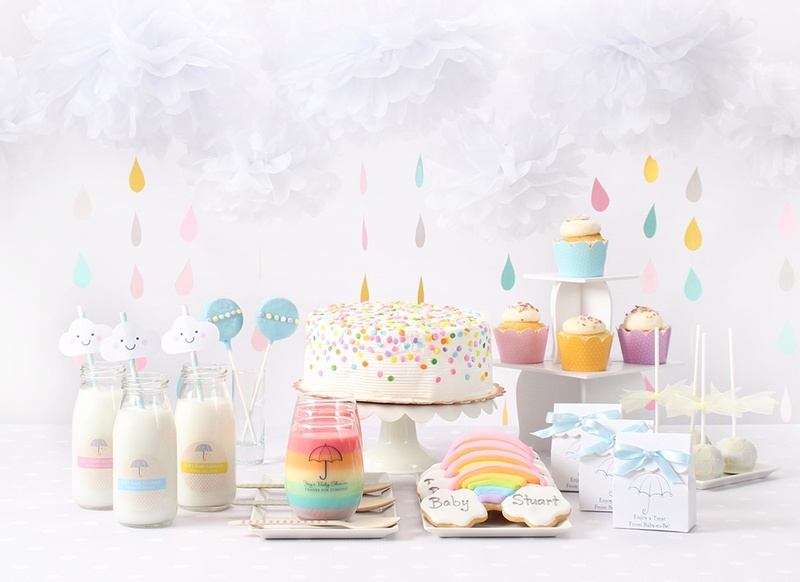 But when it comes to an ultra-adorable baby shower look like this clouds and rainbow theme, can you blame us?! This stylish baby shower theme features a pastel color palette, cute cartoon designs, and multi-textural influences. 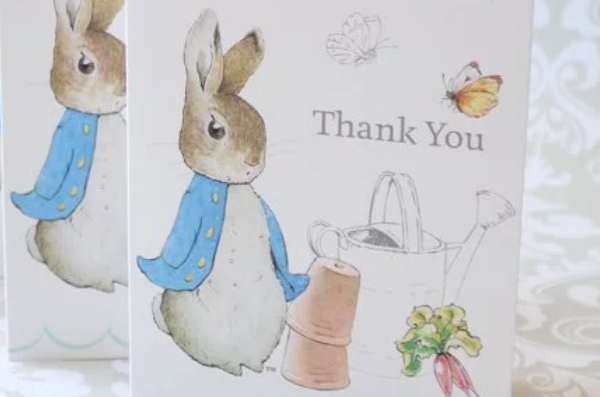 Find tips on how to get the look below. 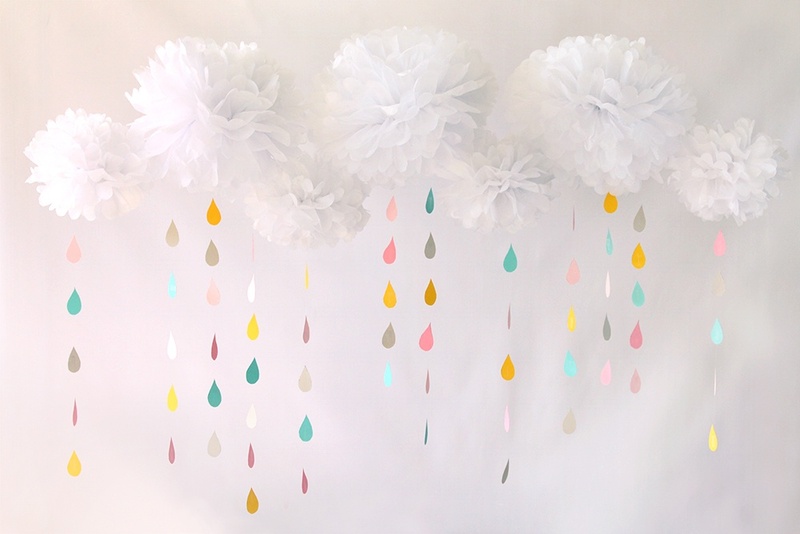 Create a multidimensional backdrop with the use of white tissue pom poms as clouds, with colorful raindrop cutouts (printable version below) dangling beneath. Attach the raindrop cutouts to fishing line, attach fishing line to pom poms, then suspend pom poms from ceiling. Hang this behind the buffet table, photo booth, or throughout the event for an easy DIY decorative accessory. 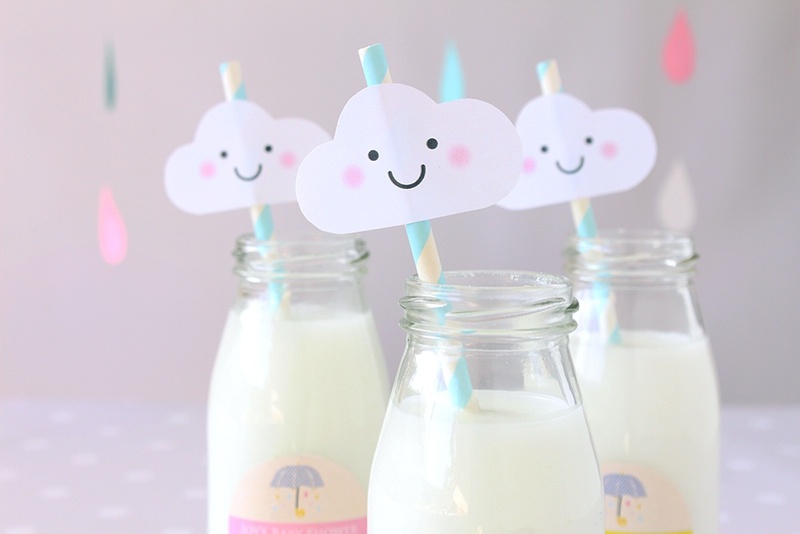 Pay careful attention to tiny details by attaching decorative cloud cut outs (printable version below) onto milk jars and straws. You can also use as cupcake toppers, name cards, and so much more! When it comes to cute clouds like this, the possibilities are endless. 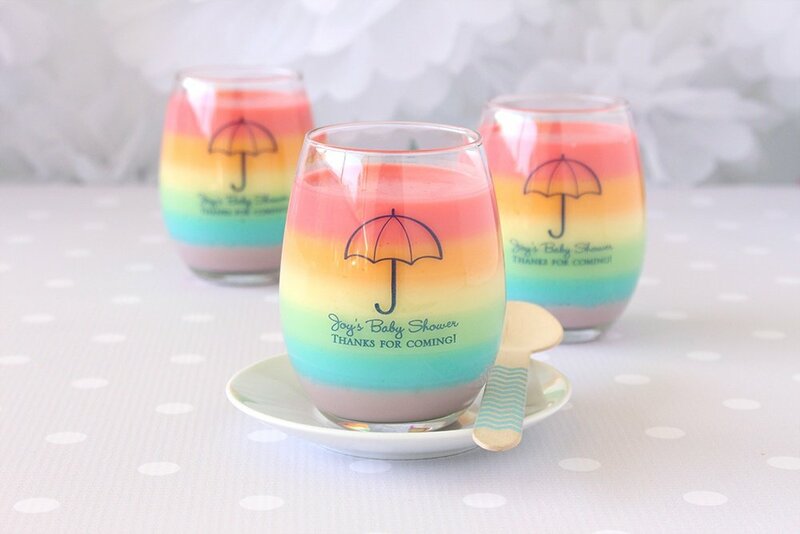 Serve up a delicious pastel rainbow Jell-O treat in a themed stemless wine glass. This tasty baby shower food is as delicious as it is pretty and guests will love the creative use of wine stemware at a baby shower! 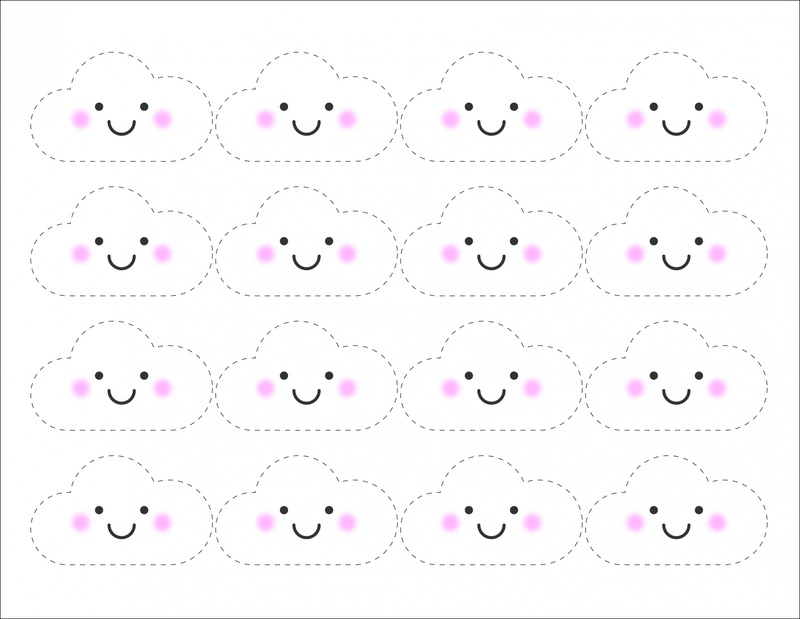 Click on the above cloud and raindrop templates, print, and cut out to start using at the shower. 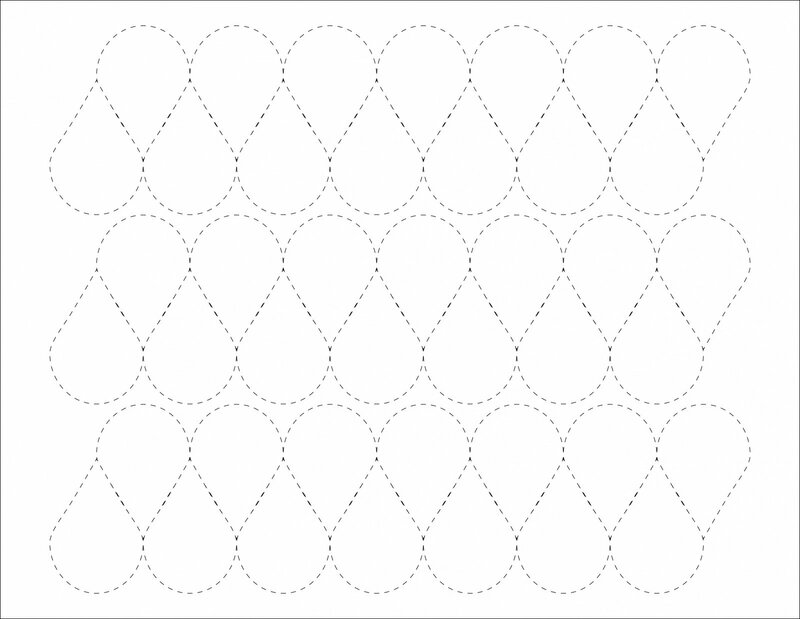 Use pastel colored paper to print the raindrop template in order to achieve this color scheme. With a little bit of creativity, DIY elbow grease, and baby shower supplies, you too can achieve this gorgeous rainbows and clouds baby shower theme!